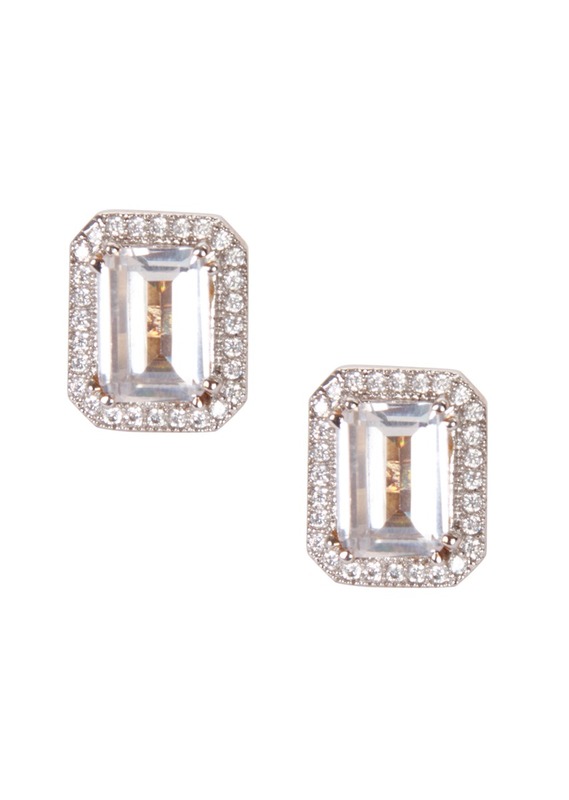 You don't need any other accessory to dress your simple yet stunning outfit if you own this pair of earring. 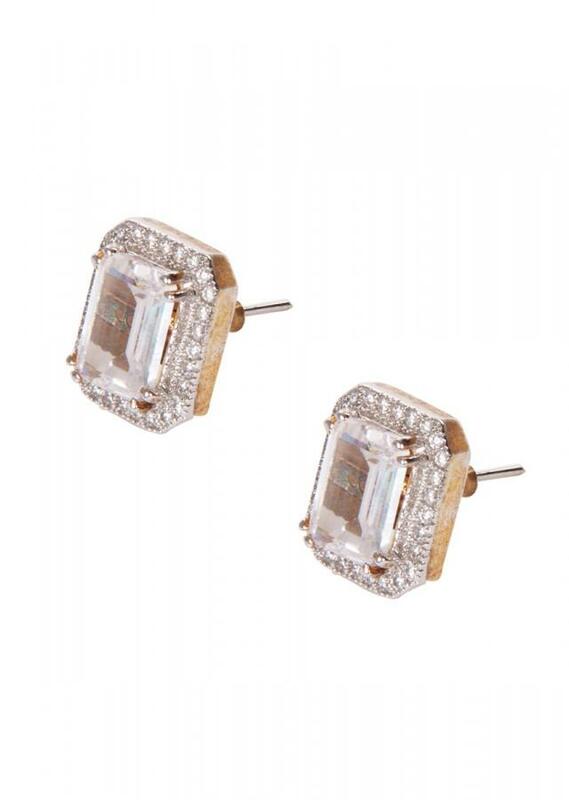 Beautifully designed to perfection the earring is studded with diamonds arranged in rectangular shape. 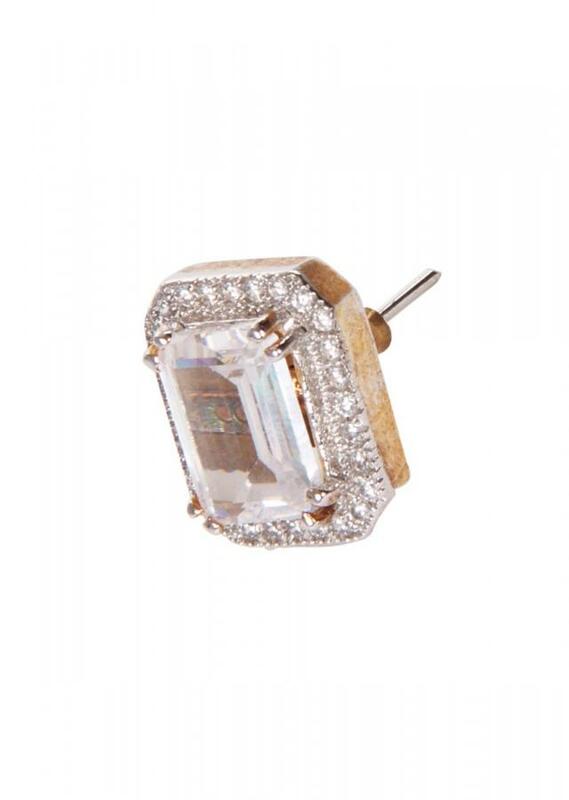 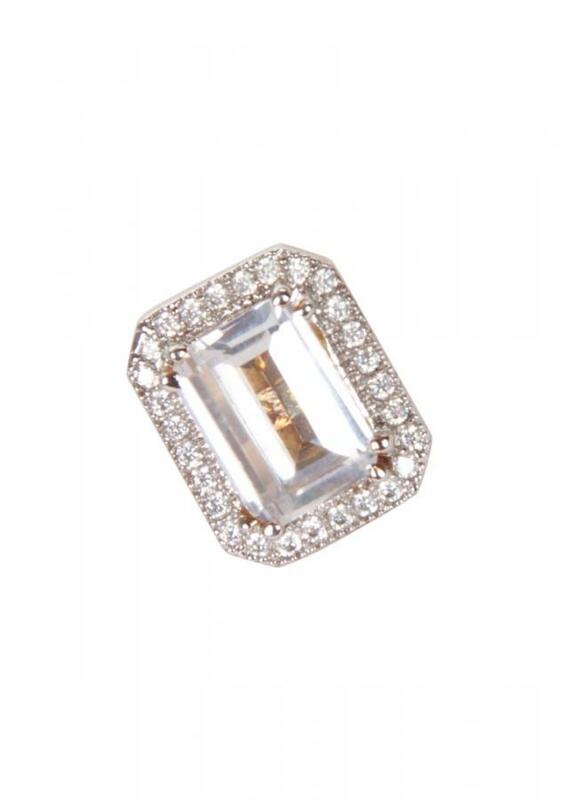 It has white gem as the centre stone that highlights the entire earring.